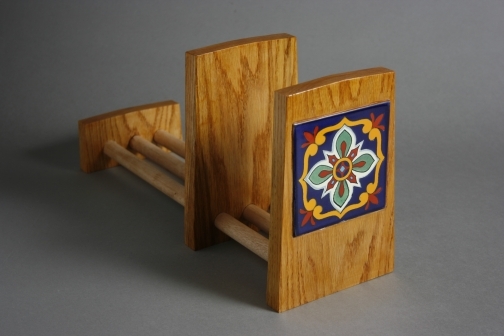 Solid oak book rack, with colorful Mexican talavera tile. One end is fixed, and the other slides forward or back to hold the books in place. 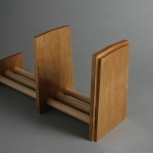 Holds books conveniently, and lets you move the books as a set; especially useful for books that are used often. Keep your cookbooks handy on the kitchen counter and still be able to move them out of the way if you need the space. Item ships from: Novato, CA, US.